The all-new Mercedes-Benz GLE is going to be unveiled this Tuesday, but irrespective of the fact, the automaker started teaser campaign earlier, so we are able to see plenty of new details ahead of the official debut. The redesigned SUV will definitely look a lot better form its predecessor, both inside and out. 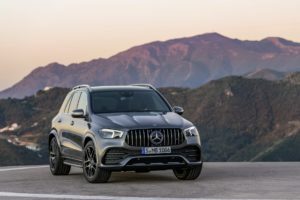 As you may notice, the 2019 Mercedes-Benz GLE gets numerous changes inside. As a matter of fact, the cabin is was the automaker’s focus this time. They’ve added the amazing rectangular air vents along with a dual-screen MBUX infotainment system and really gorgeous ambient lighting. The transmission tunnel hosts a pair of grab handles which have been stolen of the new G-Wagen. Of course, Mercedes will not forget to offer more useful tech inside of the 2019 GLE. The exterior teaser doesn’t reveal everything, but it shows some interesting details. The redesigned GLE seems to have a lot in common with the new GLC. These two will likely share pretty much the same upright front-end styling. The headlights are all-new and terrifically designed as they feature two LEDs per light. Based on some earlier spy shots, we can conclude that the 2019 Mercedes-Benz GLE is going to get a set of LED-treated horizontal taillights in the back. In addition, the successor looks sportier thanks to some extra slope on the D-pillar. The C-pillar, on the other hand, appears to be unchanged. Since it rides on Mercedes’ MHA platform, the 2019 GLE will definitely improve several crucial aspects. First of all, the architecture will deliver more room inside. It will also make the SUV lighter and suitable for new technologies. The carmaker will offer a couple of new inline- and -6 engines, as well as some plug-in hybrid and diesel variants. Of course, they won’t skip the chance to add a twin-turbocharged 4.0-liter V-8 under the hood of the topping Mercedes-AMG GLE63 model. Most of the new-generation GLEs will be mated to an all-wheel-drive and nine-speed automatic transmission. 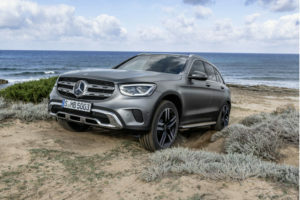 The North American premiere of the totally redesigned 2019 Mercedes-Benz GLE will probably happen at this year’s Los Angeles Auto Show, which means that the SUV is not going to hit the showrooms before early 2019.